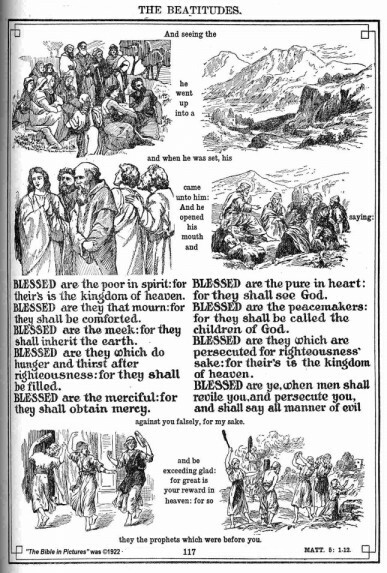 Sunday Into Monday — The Beatitudes from 9 to 5 | Real.Good.Work. 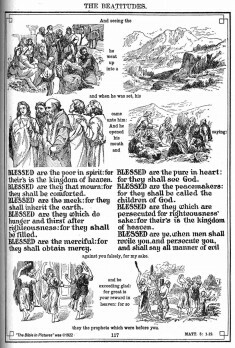 The Beatitudes – Matthew 5:3-12 – are some of the most-loved verses in the New Testament. Poetic and beautiful, they are easy to remember. But are they easy to live? Especially in the busy 9-to-5? How can we be peacemakers at work? What can we do for two colleagues who just don’t like each other? Is a turf war or a budget battle a place that needs “peace”? What does it mean to be “righteous” in a climate where competition for customers (or promotions) often equates being “nice” with being weak? Can we be “merciful” to our staff or colleagues who have made big mistakes at work, without increasing the risk of more mistakes? What if it’s obvious that the right thing to do will seriously hurt your company’s finances? Ethical questions. Practical questions. Tricky questions. What would a blessed person do? Blessed are those who hunger and thirst for righteousness, for they shall be filled. Blessed are the merciful, for they shall obtain mercy. Blessed are the pure in heart, for they shall see God. Blessed are the peacemakers, for they shall be called sons of God. Blessed are those who are persecuted for righteousness’ sake, for theirs is the kingdom of heaven.